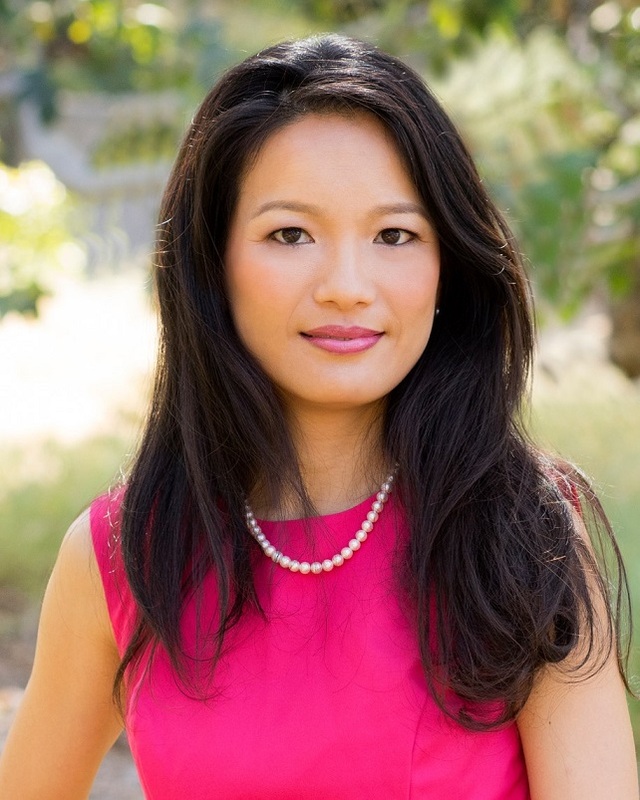 Kelly Chang Rickert (formerly Kelly Yi-Yi Chang) is the founder of the Law and Mediation Offices of Kelly Chang, A Professional Law Corporation, a firm dedicated exclusively to Family Law. She has been practicing law since 2000. She has been certified by the California State Bar Board of Legal Specialization as a Family Law Specialist, a distinction earned by only approximately 200 California family law attorneys. It is the darkest before the sun comes out; and Kelly strives to be that light, navigating her clients out of the darkest point of their lives. Though divorce is difficult, it does not have to be nasty. She is frequently quoted in the media, and is a legal expert for CBS, ABC, CNN News, KTLA, NBC, Entertainment Tonight, Inside Edition, NPR, Style Network, TV Guide and MTV on Mel Gibson, Tiger Woods, Britney Spears, Christie Brinkley, Madonna, Charlie Sheen, the Kardashians and Brangelina divorce and custody cases. I have always loved Family Law. It was my favorite subject in law school. Had I not become a Family Attorney, I would have probably become a Marriage and Family Therapist. After passing the bar in 2000, I worked for several big law firms in San Francisco and Los Angeles. Some of these big firms didn’t have family law departments. So, I volunteered at the local Domestic Violence Clinics at court helping battered women obtain restraining orders and relocating them to safe havens. I think the hardest part of family law (after the emotional roller coaster) is understanding the language spoken by attorneys/Judges. My favorite part of the job is helping people get through this stage of their lives. When you’re going through hell, keep going! Although Court is rarely enjoyable by clients, it is often Disneyland for attorneys. Sometimes, attorneys hate each other more than the actual parties involved and engage in “ego-battles” which needlessly drive up fees. When trust is broken, both parties are naturally paranoid. (“She’s trying to take away the kids! “He is hiding assets!” “He will cut me off!”). It’s even worse when these “bad things” are done to them by people they used to love. In reality, everyone fears their rights will be trampled on and ruined by the person they used to love. They run to lawyers for “protection”, but in reality, hiring a lawyer exacerbates the paranoia, because lawyers are trained to expect the worst in people and situations. Family law isn’t civil law. Family law is emotional, and many uninformed litigants race to Court to “seek revenge”. But they will never find what they are seeking, and in the process, they will have spent thousands of dollars on attorneys who they later despise because they were not adequately informed about he process. In my experience, most divorce cases can be resolved through mediation. It’s always best to reduce conflict through use of mediation (if at all possible). In fact, if custody is at issue, the Court mandates mediation prior to hearing your case. You can schedule a mediation appointment at court with this link. I trained intensively with the San Diego Mediation Center and the Los Angeles County Bar Association under the direction of leading authority and pioneer attorney/mediator/professor Forrest Mosten. Back in 1999, I was one of the first “on-line” mediators for this cutting-edge website, SquareTrade, which mediated on-line disputes arising out of EBay transactions. I mediated over a thousand cases. Currently, I am a mediator with the Los Angeles County Family Law Daily Settlement Officer program. If you can resolve your case through mediation, it’s worth a try. I wouldn’t be here without my mentors. I owe my community and the younger generation my time and knowledge. I make every effort to volunteer, whether as a mediator for the the Los Angeles Family Courts, or as Judge Pro Tem for the Los Angeles County Superior Court Small Claims Court. I also currently volunteer at the Harriet Buhai Center for Family Law. Who am I? I am an attorney, a wife, and a mother. I was born in Taiwan, and am fluent in Mandarin Chinese, Taiwanese, and conversant in French. I am happily married and God has blessed my husband Scott and me with a strong partnership. A successful partnership (whether you are married or divorced) is important to life. I am passionate about international issues, and have traveled to over 30 countries. I am a classical pianist/singer and yoga enthusiast. I completed the Los Angeles Marathon in 2006. Admitted to Practice: June 5, 2000, California; U.S. District Courts, Northern and Central Districts of California; Ninth Circuit United States Court of Appeals. Awards: SuperLawyers, 2007, 2008, 2009, 2010, 2011, 2012, 2013, 2014, 2015, 2016, 2017, 2018 and 2019. Law School: University of San Diego Law School, J.D., Honors, December 1999. College: UCLA, B.A. English, Honors, June 1997. Languages: Mandarin, Taiwanese, French (conversational).